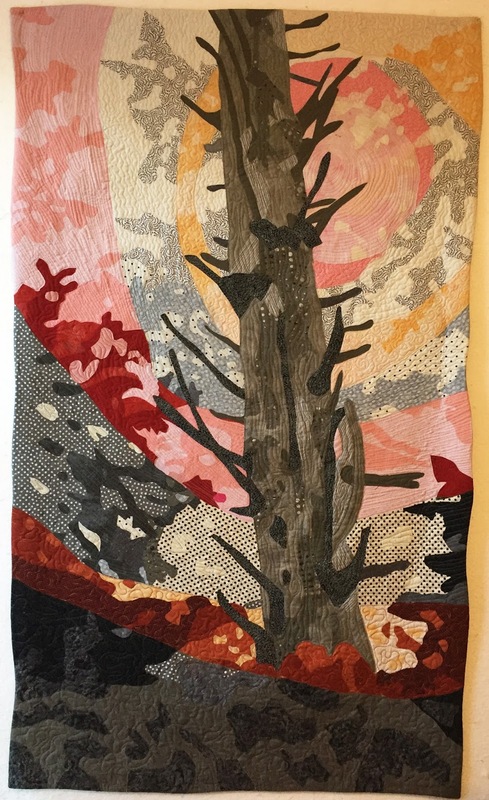 This is a continuation of a previous post about a tree quilt that I made based on lessons I learned in a Katie Pasquini-Masopust class. I originally thought that I would add light gray organza to the background in this quilt to give it that really foggy look. But I changed my mind part way through and decided to use tulle over the top of everything. That helped to hold all the little pieces in place while it was being quilted. I quilted the piece using cotton batting, several different colors and types of thread, and faced the piece. The detail in this piece is terrific! I love the background color!